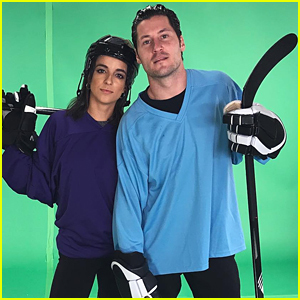 Victoria Arlen & Val Chmerkovskiy Take on Sports Movies on DWTS’ Night at the Movies (Video) | Dancing With the Stars, Television, Val Chmerkovskiy, Victoria Arlen, Video | Just Jared Jr.
Victoria Arlen and pro partner Val Chmerkovskiy compete against each other on Dancing with the Stars on Monday (October 23). Team ViVa performed their dance powerful Paso Doble to “We Will Rock You” by Queen. 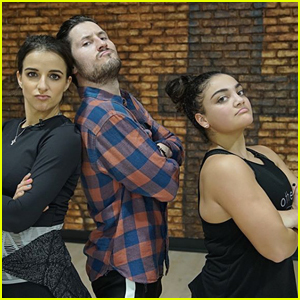 Before their performance, Victoria and Val learned that they were in jeopardy, putting them at risk of leaving the show tonight. 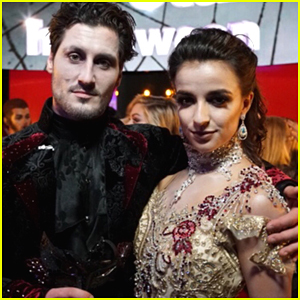 Victoria and Val earned 31 points from the judges for their performance, out of 40 points total.